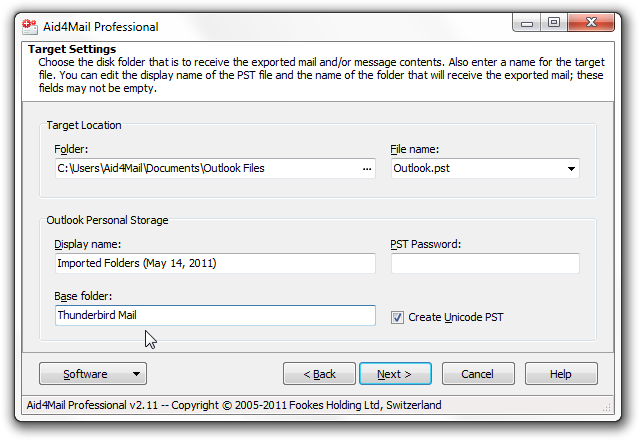 Note that this tutorial uses screen shots from Aid4Mail Professional. You may notice slight differences if you are using Aid4Mail Home or Aid4Mail eDiscovery but generally the interfaces are very similar. If you don’t already have Aid4Mail, you can download it for free. 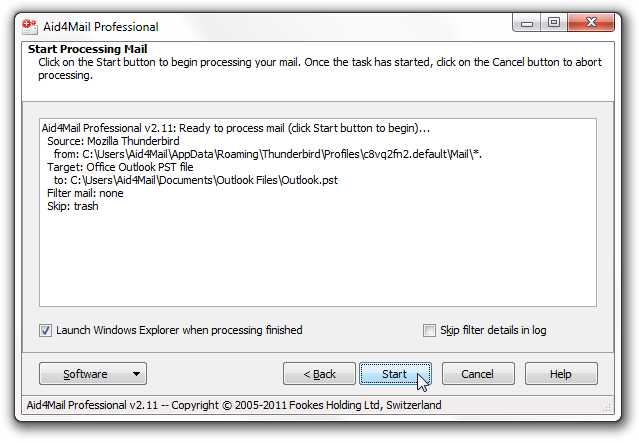 Simply run the downloaded setup file (Aid4Mail_Setup.exe) to install Aid4Mail. If you need to run performance tests on an unlimited number of emails during trial mode, add the /NoLimit switch to your Aid4Mail command line. 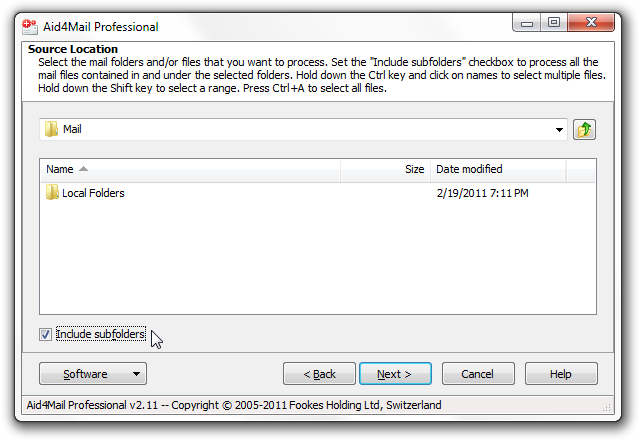 Using it removes the 50 emails per folder trial limitation. Instead Aid4Mail replaces all exported subject lines with a trial notice. If you are running Aid4Mail in trial mode, then on the “Welcome” screen you can select which version of the software to test. 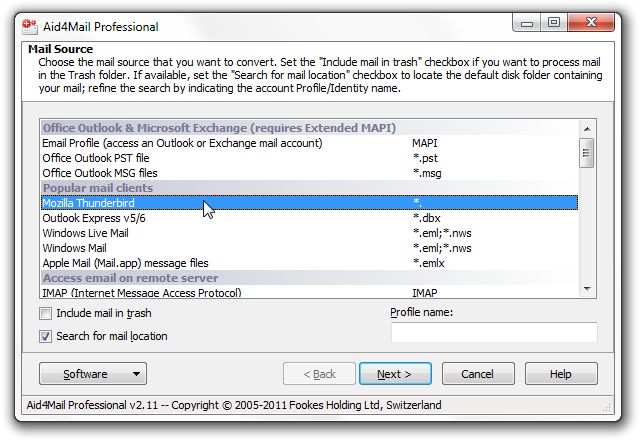 Select either “Aid4Mail Home”, “Aid4Mail Professional”, or “Aid4Mail eDiscovery” from the “Test Edition” drop-down list. 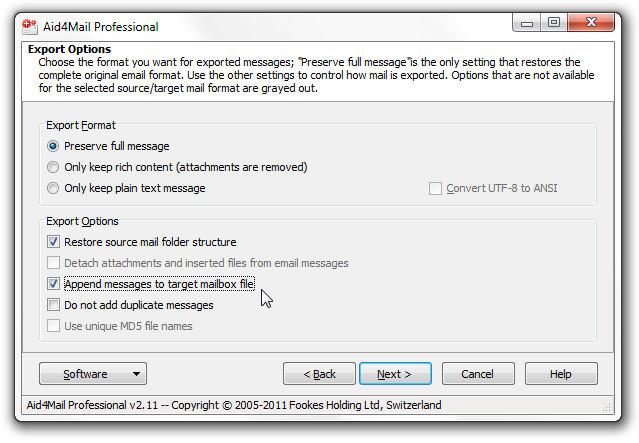 For this tutorial we are using Aid4Mail Professional. If you’ve been using Aid4Mail in trial mode and are convinced it’s right for you, get your activation code now. 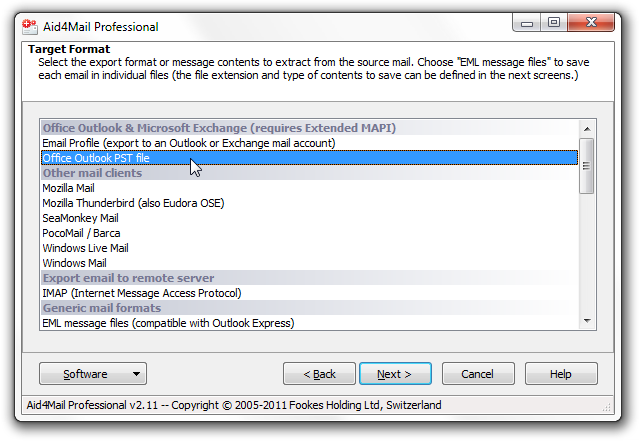 This will remove the trial limitations and enable you to transfer all your messages to Outlook.